Ailing Ohioans awaiting medical marijuana relief can circle Jan. 15 on their calendars — the latest estimate of when product will be on shelves. Representatives from the state’s only fully licensed medical marijuana dispensary and testing lab each said Jan. 15 was around the time they expected to be up and running. Ohio’s medical marijuana program was supposed to be fully operational Sept. 8. Twenty-one conditions can qualify someone for medical marijuana — from cancer to a spinal cord disease or injury. Specifically, a testing lab must be ready. State law requires random tests of medical marijuana for purity and pesticides. The only lab to clear its final inspection with the state and receive a certificate of operation is North Coast Testing Laboratories LLC in Streetsboro in Portage County. The company is in the process of “validating,” or verifying that its various pieces of equipment can precisely test cannabis, North Coast’s Joe Moorhead said. Patients and caregivers will only be able to get flower, or bud, on the first days of medical marijuana sales. “It will be a gradual rollout where there will be a limited supply of flower at first,” said Erkes of CY+ in Wintersville. Erkes said that he expects CY+ to sell flower from just a few cultivators who have product ready, including Cresco Labs’ 40,000-square-foot grow facility in Yellow Springs and from Buckeye Relief LLC in Eastlake. Buckeye Relief spokeswoman Leslie Brandon said the company has completed two harvests and is ready for testing. State law prohibits patients from smoking medical marijuana but they can vape the flower. More flower will be available in time, as more cultivators harvest their product, Erkes said. 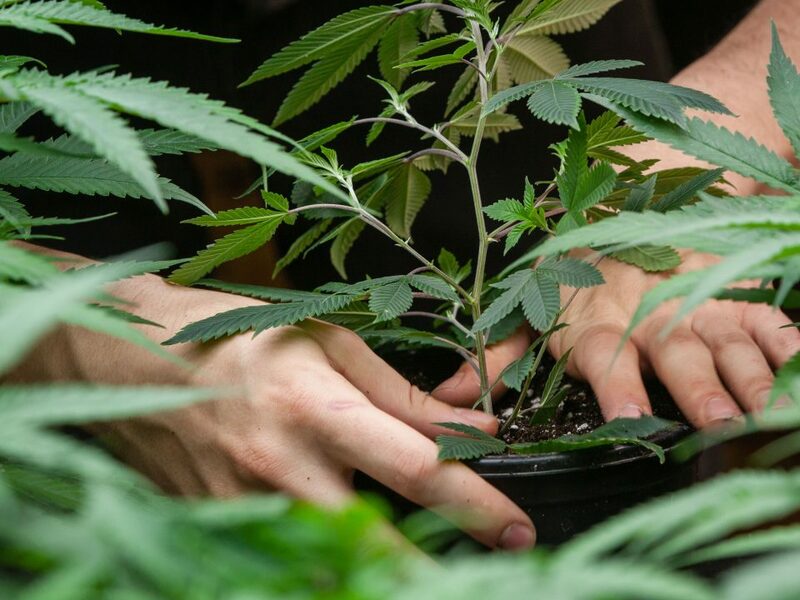 Eventually, patients will see processed marijuana products on the shelves — patches, creams, ointments, soft drinks and other edibles, among the other forms of medical marijuana allowed in Ohio. None of the companies with provisional processing licenses have yet received a certificate of operation from the state.